ECHO and TOP Equipment have sold out of HC-150. New and improved HC-152 is now available at the same price of $289.99 List. HC-150i is no longer available. 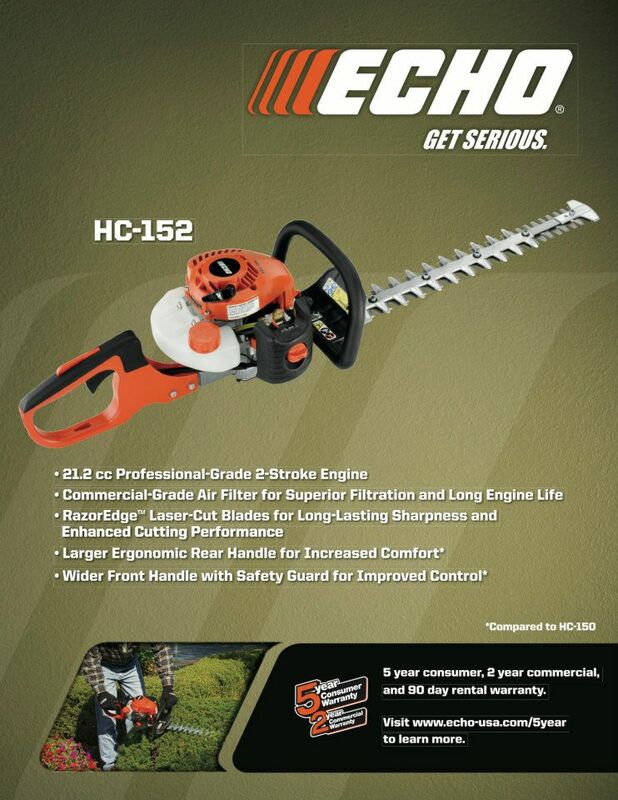 HC-155-20 at $359.99 list is a 20" double-sided hedge trimmer available with an I-30 stater and the full commercial features of the HC-155.